We’ve got some great news to share with our readers…(drumroll please)…we’re published! Obviously, we are ecstatic and couldn’t be happier that Crystal of Mommifried asked us to be included in her new book The Mother of All Meltdowns. @HMaJPD Just read your story via @MOAMTheBook SWEET! I have always dreamed of writing and saw that come to fruition with the launch of this blog…BUT…having your words go to print in a book is a whole other story. I walk with my head a bit higher today and just, oh I don’t know, feel differently. It’s been an amazing few months waiting on our newest “baby” and now that it’s here; happiness abounds! Here’s what our book is about: The Mother of All Meltdowns: The following anthology was written by women who have had their moments. Together we have experienced the anguish and frustration of the adult-sized tantrum. We have shed the tears, dropped to our knees in agony and asked the age-old question, “Why me?” From poop-decorated rooms to having our liquid gold scrutinized and confiscated by TSA, we’re not afraid to share our collection of 30 tell-all stories. We are survivalists and know that at the end of every meltdown there is a silver lining. @ritewhileucan @HMaJPD One of my favorite stories in the book! I’ve had writer’s crush on @HMaJPD for quite some time! Pour yourself a glass of wine, curl up in your favorite comfy chair and enjoy a little motherly mayhem on us. If you’re a mom (or love one), you’ve definitely earned it. Follow our book on FaceBook, Google+ and Twitter to keep up with all of our craziness and to find out how it’s doing in the ranks. Come on, I know you’re curious. Stop by and visit The Mother of All Meltdown’s on its own website. Yes, it’s already acting live a diva! Visit our Author Page and be sure to grab a bunch of copies; they make the perfect gift. Thank you for supporting our writing. We appreciate it. 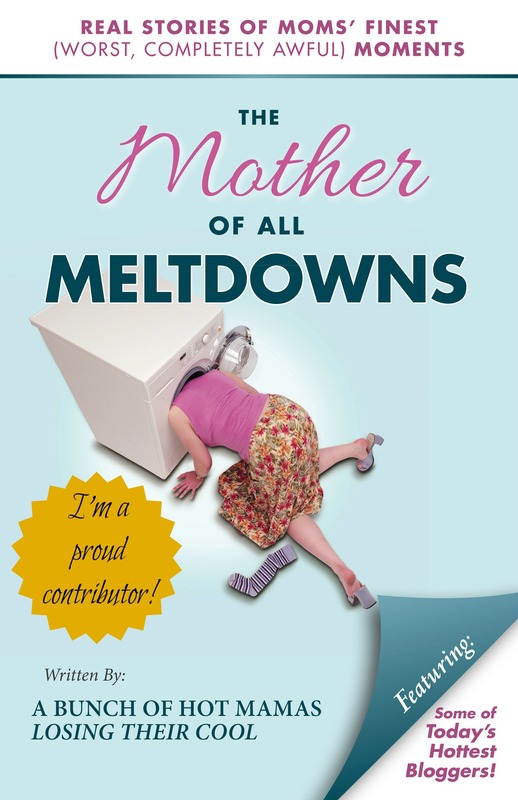 @HMaJPD Loved your story in Mother of All Meltdowns! Thanks for the follow!